Early pregnancy loss (Abortion or miscarriage) is defined as the termination of pregnancy before 20 weeks of gestation (dates from the last menstrual period) or below a fetal weight of 500g. It occurs in approximately 1 in 300 pregnancies. Recurrent Miscarriage ( RM ) is classically defined as three or more consecutive spontaneous miscarriages. Primary – Where all conceptions have ended in pregnancy loss. 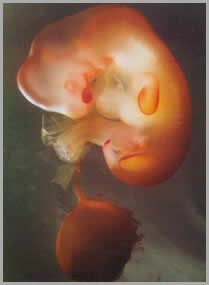 Secondary – One (Usually the first) pregnancy has proceeded to viability and the rest have ended in abortions. A definite systemic cause is rarely found and this increases the frustration in both the patient and the obstetrician, as both tend to believe that “there must be some thing wrong”. The majority of patients will have to be given an explanation that they can understand but really not accept. In spite of this, a full investigation will have to be carried out. If the patient has 3 or more abortions, the risk becomes 40%. Immunological factors – Auto-immune disorders like anti-phospholipid antibody syndrome, abnormal maternal immune response and systemic lupus erythematosus. Medical disorders – Heart disease, hypertension, respiratory disease and other systemic illnesses.